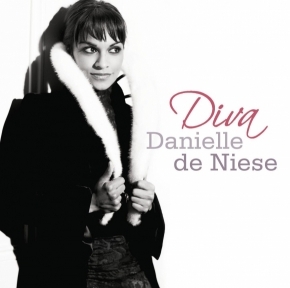 Danielle de Niese dazzles with a collection of her greatest hits along with new arrangements of old favourites and a lyrical adaption of the second movement of Karl Jenkins’ famous Palladio in her fourth album- Diva. “So many singers and instrumentalists are described as ‘one of the most exciting musicians of their generation’, yet all too often they fail to live up to their billing. But in the case of soprano Danielle de Niese, the excitement really is justified. Much-loved by Glyndebourne audiences for several years, Danielle first shot to wider prominence when, at the eleventh hour, she stood in at the Classical BRIT Awards in 2008. Her electrifying performance of Delibes’ ‘The Girls from Cadiz’, which she’d pretty much spent the last 24 hours frantically learning from memory, wowed the Albert Hall – and the TV audience who would later watch it.